There's no better time than spending the summer at Lake Travis. And if you plan to do so, then make sure you stop by Lakeway for some of the best food to be found near the lake. Here's a few of the top restaurants in Lakeway that are sure to satisfy any taste. Rated the top restaurant in Lakeway by TripAdvisor.com, Santa Catarina features authentic Mexican cuisine. This isn't the usual TexMex fare. They prepare their dishes with fresh ingredients and imagination, like their black beans and rice with pickled onions. Or enjoy their renowned Conchinita Pibil (tender chunks of pork steamed in a banana leaf), the Huitlacoche, or the savory roasted-corn soup. Winners of the People's Choice award in 2014 and 2015 by the Taste of Lake Travis, the Sundance Grill is a casual bistro experience located right on the water. Enjoy the view of the marina while you indulge in featured burgers like the Hickory Burger, chef crafted salads, sandwiches, steak and seafood prepared with fresh ingredients. 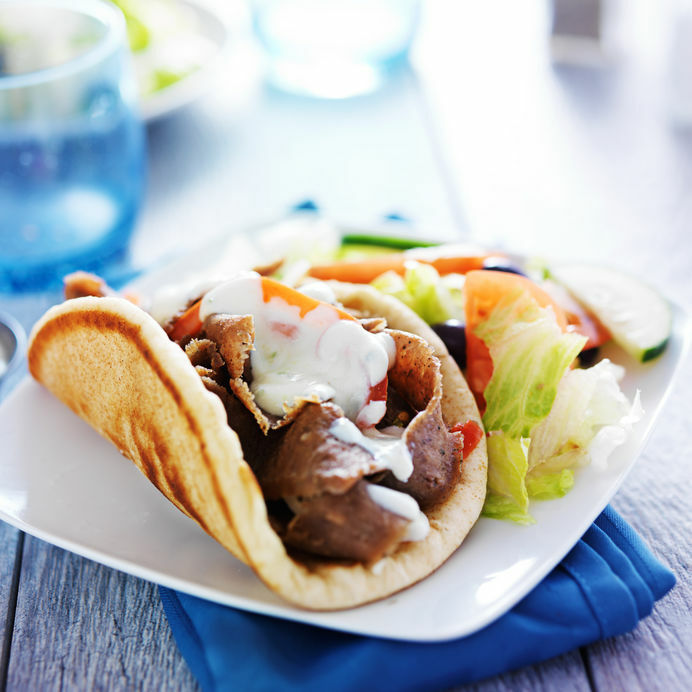 If you enjoy a great gyro or Greek salad, then you've found the right place. Little Greek also features some of the best desserts you'll find near the lake. Little Greek is an ideal choice for takeout as well so you can enjoy your tasty treats down at the lake. You can build your own artisan pizza at this top pizza restaurant in Lakeway. There's endless toppings to chose from, so indulge your imagination. And of course they have equally delicious salads. You chose your topping from an assembly line counter, making sure your pizza is created perfectly to your taste. Plus your pizza comes out super fast so you don't have to wait to indulge your tastebuds. 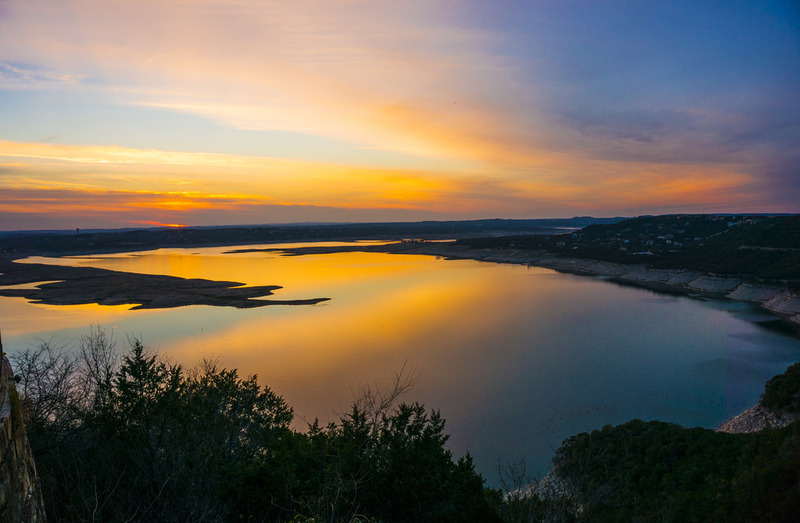 Lake Travis is known for it's spectacular sunsets. There's plenty of outstanding vantage points to view it from, whether on water or land. One particularly great place to enjoy these sunsets is at Beau Theriot’s “Sunset Capital of Texas”. The views from it's terraces perched 450 feet over the lake will leave you breathless. And so will the food. The Oasis, as it's known, is home to some of the best live music anywhere on the lake. Why not pamper yourself with a spa day at the Lakeway Resort and Spa. This full service spa and resort features a great array of ways to enjoy yourself. In addition to the full-service spa, there's three large swimming pools, a whirlpool, a swim-up bar and a slide area perfect for the kids. After a day of relaxing and playing, you can cap off the evening with a splendid meal at restaurant with outside seating featuring spectacular lake views. With 5 zip lines spanning from 250 to 2800 ft, Lake Travis Zipline Adventures will put you on the fast track to thrills and chills with he longest zipline in Texas. As you hike up to your zipline launching point, your professional tour guide will offer an educational and fun experience. Then you launch off a cliff and soar for over 2800 ft. What could be more thrilling? Volente Beach Resort is a great place for the whole family to relax and play. The resort features a waterpark with a number of themed areas for the kids. You can also enjoy a casual meal at Beachside Billy’s restaurant with a beach bar and grill. You can even rent a bungalow to stay overnight and enjoy the amenities even longer. What could be better than enjoying amazing food and drinks by the lake? Lake Travis is the jewel of the Highland Lakes, making it the perfect setting for the restaurants and pubs that dot the coastline. Not only do these restaurants have spectacular views, but you can access most of them by boat. So why not fire up the boat and take a delicious and refreshing Lake Travis On the Water Pub / Restaurant Crawl? There are 8 restaurants and pubs you can get to by boat on Lake Travis. You can stop for drinks at one of them, then food at the next. Then top off the evening with live music at most of these venues. Here’s a few of the great dining experiences you can look forward to enjoying on the lake. If you’re out with the whole family, pull into the private dock for the perfect blend of food and fun. You can enjoy burgers, chicken sandwiches, fresh-made pizza, great salads, wings, entrees such as pan-fried snapper, Ahi Tuna or MMMac n Cheese. Or have a drink at the full bar with lake views, along with live music. The whole family can have fun at the waterpark, featuring thrilling rides and a pirate themes park for the kids to explore. Then you can relax in the Lazy Lagoon featuring a waterfall fountain. Enjoy Southern cuisine in this relaxing Hill Country setting. This casual outdoor venue lets you indulge in the extraordinary panoramic views of the Lake Travis and the hills. Pull into the courtesy walk and it’s just a short walk up the ramp. Located just 3 miles southwest past Starnes Island and the infamous Devil’s Cove, this floating restaurant and bar features a large dock to accommodate all diners. Dine indoors or outside while enjoying live music and dancing. As the largest outdoor restaurant in Texas, The Oasis has certainly gained a reputation for amazing food and equally splendid sunset views as “the Sunset Capital of Texas.” You’re guaranteed spectacular dining with the outdoor seating in this venue located 450 feet above Lake Travis. When the sunset bell rings, get out your camera to capture the gorgeous sunset. With live music on 2 stages, it’s the perfect way to top off your restaurant crawl experience. Looking to save a few dollars while you enjoy your time on the lake? There's no need to break the banks to eat great food in Lakeway. TripAdvisor.com has reviewed the best places to eat in Lakeway on a budget. Here's some of the top picks from the list. Not only does Cafe Lago have the best breakfast in town, it's one of the most affordable. This coffee house / diner is the perfect hometown place to get your morning started, or for a delicious lunch. 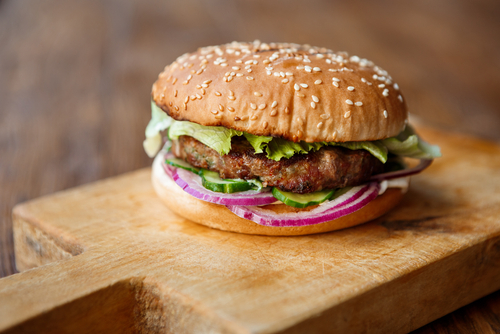 Inspired by the burger stands of old, but with a focus on fresh, all natural ingredients, making this a burger stand like no other in town. Along with the amazing view and retro dining room, classic shakes and huge orders of fries, you can't go wrong with this burger experience. Who doesn't want an artisan pizza made their way right in front of them? That's how Mod Pizza does it. And there's only one price, no matter how many toppings!